Over two-thirds of the questions at the press conference following the July meeting of the European Central Bank Governing Council last Thursday revolved around Governor Mario Draghi's speech in the Portuguese city of Sintra on June 27, when he once again hinted at the possibility for a change to the ECB's current policy of quantitative easing. The speech in Sintra has prompted the euro to jump against the dollar and has created expectations in financial markets that a tightening is coming. 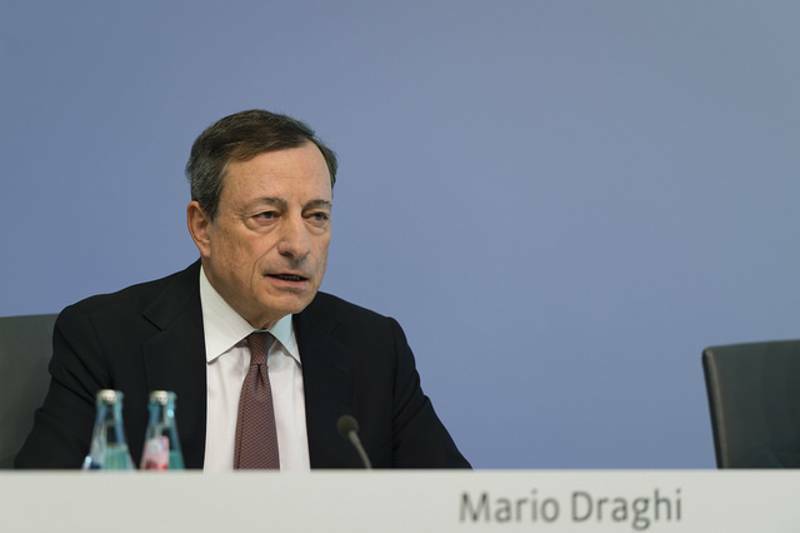 What did Draghi actually say in Sintra? 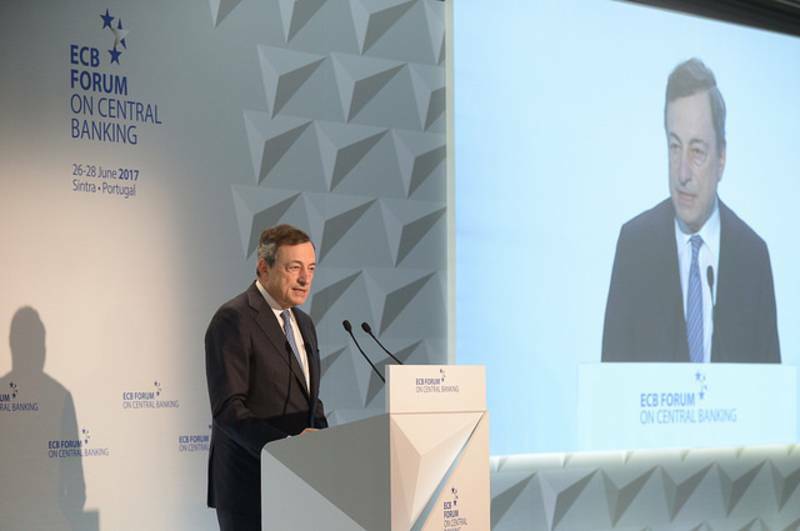 At the central banking forum in the Portuguese resort Mr Draghi presented a detailed analysis of the inflation situation and suggested several explanations for why the target of "close but below 2%" has not yet been reached. His diagnose is that, in general, the bank's monetary policy has worked to create reflationary pressure, but this process is delayed by a combination of external price shocks, a slack in the labour market (to which he devoted his June press conference) and a constant change in the relationship between slack and inflation. From the very start, when the bank announced its expanded asset purchases program (APP), euro area gross domestic product grew by 3.6%, which is higher than US growth over the same period after the first and second quantitative easing announcements (QE1 & QE2). Growth, however, is slightly lower than what was achieved in the US after the third quantitative easing programme (QE3). Unemployment also declined significantly, with 4 million jobs created in the common currency zone since the announcement of the expanded programme in January 2015. However, it remains a mystery why, despite all conditions being available, inflation is still low. The ECB president gave some explanations. The first is external factors - the after-effects of price shocks in global energy and commodity markets, which have led output and inflation to move in different directions are still felt. Another explanation can be found in the labour market, where different processes are observed, including increasing participation, due to the inclusion of older workers and the effects of migration. Part of the problem is that unemployment has indeed fallen, but the number of workers who work temporarily or not enough hours has increased. A third explanation Draghi found in the "global slack". In other words, because of globalisation, the characteristics of labour supply have become uniform and markets have become more contestable. In closing, Mario Draghi restated his thesis that the ECB's monetary policy works, but needs time. He once again called for patience and prudence. What markets have interpreted as a sign of a forthcoming change in monetary policy is contained in his statement in Sintra that, with the stabilisation of reflationary dynamics "we now need to ensure that overall financing conditions continue to support that reflationary process, until they are more durable and self-sustaining". At the same time, he said that in order to ensure that the inflation target (close but below 2%) is reached, it is necessary to maintain the monetary policy. On July 20, Mario Draghi stated that members of the Governing Council were unanimous in their decision not to change the guidelines. "We also were unanimous in communicating no change to the forward guidance; and also we were unanimous in setting no precise date for when to discuss changes in the future". 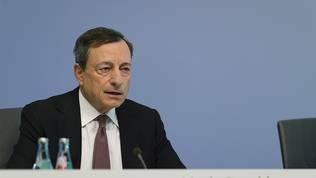 At the same time, however, Mario Draghi said it had been agreed that talks on possible changes would be held in the autumn. That means on Sept. 7, when the regular council meeting will be held. He avoided giving a definite answer to the question of whether a monetary policy change would be announced at that time, saying that discussions would start then as there will be enough information. In September, the macroeconomic projections will be released, based on which an assessment will be made of the current situation and what (if necessary) should be done. Draghi reminded that while the current monetary policy has been going on for too long (3 years), it has nevertheless led to concrete results. About 6 million jobs have been created, all indicators are either record-high or near that. "So the policies have been unquestionably successful on the real side of the economy; it’s the response in terms of inflation that we are still waiting for, and looking and monitoring", he said, attacked by journalists with questions about his speech at Sintra. It can be concluded from the speeches of Mario Draghi over recent months that the moment for a change in monetary policy is coming or has already come, but it is still unclear in what direction. What does become clear from the words of the ECB boss of July 20 is that the bank would move with extreme caution. "And that’s why I said before: in the presence of this growth recovery, if we are to experience an unwanted tightening of financing conditions that may jeopardise the convergence in the medium term of inflation to our objectives, then we’ll have to act and we’ll have to use the APP bias and other measure as well. 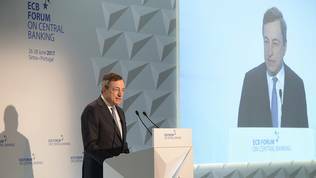 That’s why this discussion we’re going to have in the fall is multi-faceted", said Mario Draghi and added: “We need to think. We need to have lots of information we don’t have today. There is a lot of uncertainty around. So the Governing Council didn’t want to be forced to take decisions in absence of full information".